Born in Baltimore and raised in a Presbyterian parsonage in Bridgeton, N.J., Nancy Woodridge Beach changed her name to Sylvia when she was a teenager. While her minister father was associate pastor of the American Church in Paris from 1902-1905, young Sylvia determined that she would someday live in the French capital. During World War I, she and her sister took off for Europe to volunteer for the Red Cross, and Sylvia lived the rest of her life abroad. Beach (1887-1962) is one of the best known of the American expatriates of the early 20th century, and the founder of the bookstore Shakespeare and Company. The store was the first English-language bookshop on Paris’ Left Bank, serving as a literary center, lending library, and publishing company for the years between the two wars, with such frequent visitors as Gertrude Stein, Natalie Barney, Andre Gide, Ezra Pound, and Bryher. Beach is remembered in the literary canon as the publisher of numerous editions of James Joyce’s Ulysses, which American presses considered too radical a text to publish. 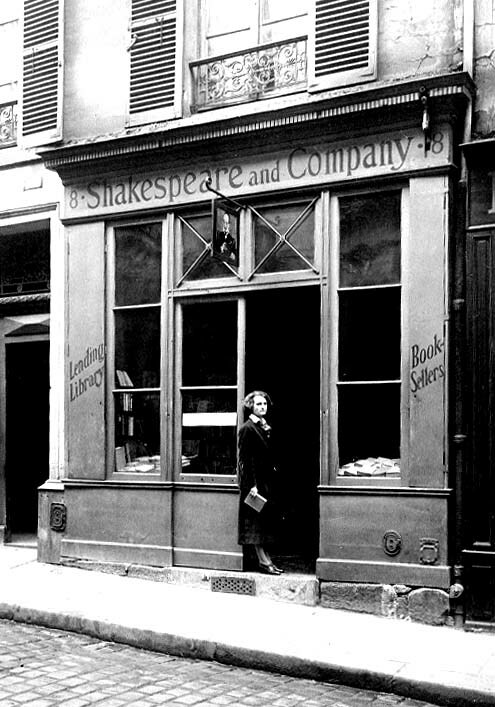 She immortalized her store and the expatriate literary circle in a memoir called Shakespeare and Company (1959). Beach was a confirmed liberal and a woman with a strong anti-Fascist reputation. The Nazis closed her shop in 1941, and interned her for six months as an “enemy alien.” After the war, she did not reopen the shop, but continued to lend books from her apartment. The love of Beach’s life was Adrienne Monnier, a Frenchwoman who owned a bookshop called La Maison des Amis des Livres (literally, the House of Friends of Books), directly across the street from Shakespeare and Company. Beach and Monnier lived together from 1920 to 1936, when Monnier’s affair with another women caused them to separate. Still (in true lesbian fashion), they remained friends until Monnier’s death in 1955, having dinner together most evenings. Though Beach lived most of her life abroad, she is buried in this Princeton cemetery with her family.